The Prine Collection of Woodworking Planes presents more than 200 planes made or retailed in the region in the early 19th century. 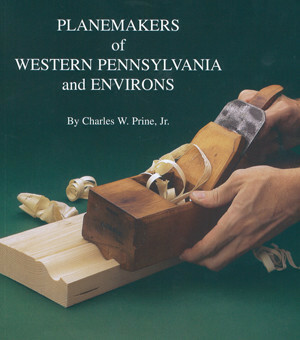 Charles W. Prine, Jr., who collected the tools on display, wanted to find out more about the regional craftsmen who created these planes. The planemakers’ marks, stamped on the tools, gave Prine a starting place for his research. He scoured city directories, newspapers, letters, and diaries for information about the lives and work of the men who made these planes and others for the growing western market. Included in the exhibit are examples of 27 different kinds of planes, as well as information on the trades that utilized these specialty tools, such as carpenters, wheel wrights, and boat builders. The distinctive collection focuses on hand-made tools, crafted in small shops in the first half of the 19th century, in the era before tools were mass produced. The artifacts on display unveil the early economy of the Pittsburgh region and link the planemakers to the artisans they served in other trades. This informative, thoroughly researched book, provides new insights into the lives of early 19th century planemakers in Pittsburgh and the surrounding area – America’s first major inland industrial center.